iOS App Development Tactics to give a gentle push to Business | iMOBDEV Technology Pvt. Ltd.
iOS users are widely spread over the world and the users spend much time on the applications. Specifically, for the business purpose, the iOS applications are super hit. Follow the trends for iOS app development to boost your business. Visionary business leaders can analyze the importance of highly advanced technology for the rapid business growth. People’s addiction for the mobile app is not hidden and business analysts consider the mobile applications as the game changers for the businesses. Additionally, the highly advanced devices such as iPhone and iPad have transformed the way of people do their business. However, the experienced developers can simply formulate the apps following the business needs. But, you must notice the ratio of app success. It is not just about the developing the app. It is about how engaging, useful and informative your iPhone app is. Specifically for the businesses, the app must be a game changer. Success for the applications can be received easily if the app is more advanced and follows the latest techniques & tools. The business giants also started reaching their clients and customers through the applications. When the new versions are loaded, the business sector has something new to discuss. Hence, if any business is there with the brand new ideas of interaction or can attract the clients easily through the trendy app, then that hits the particular market easily. iOS Application Development becomes a hot topic when there is the enhanced UI, new APIs, and newly introduced frameworks, etc. Let’s observe the hot topics or trends which can be helpful directly or indirectly for delivering the iOS applications which can boost the business. 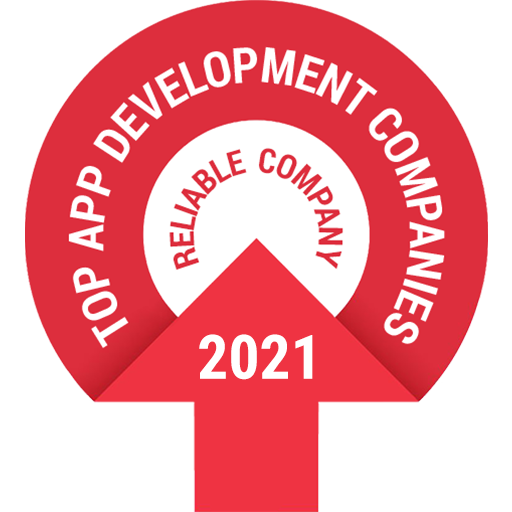 Swift has made its space and became the very first choice of the iOS Application developers. Particularly for the enterprise app developers, it is worth to use this multi-paradigm and compiled Swift programming language which is useful the write the code for iOS, OSX, WatchOS and tvOS. The developers are already aware of the advantages of working with the Swift language. Swift gives the developers a flexible environment to be productive always. Hence, the Swift is a new ride for the iOS development. Here are some points which will help you in believing me that why the Swift is future for enterprise app development. Enterprises always needed the flawless applications. The experienced professionals say that the apps developed with Swift functions quickly. It’s a fun for the developers to code with Swift iOS app development as it is smart so they can get expected results with the decreased development cycle. The Depth-search algorithm really works smoothly and users can easily notice the fast search. Using Swift is faster than the applications built with the Python and Objective-C. Business applications deliver smart solutions quickly and it directly reflects the sales and Returns on Investment. The most important thing for the business applications is the data security. When the developer is using the Swift, they do not have to worry at all about this factor. Developing the apps becomes safe when the Swift programming language is preferred. With the cloud based mobile application development, the IT infrastructure can be simplified. With a globally deployed and symmetric architecture, a business can expect the consistent service experience. Which indirectly benefits the business. The other point to be considered for the cloud-based iPhone application is, the boosted storage capacity and easy to scale behavior. Almost businesses and organizations have the big data to store and manage. Offsite-hosting and cloud based hosting directly decrease the storage costs. Hence, with the Cloud based applications the businesses can easily expand the functions. Cloud based Business applications can be easily configured for the customized needs. Setting specific parameter even become easy with the cloud based environment. And hence, if you are looking for the modern solutions which can give the hands in raising your business, choose the iOS cloud services. Paid application or Free Applications? The App publishers must be aware of the app development strategies for the iOS ecosystem. The point to be noted here is, before launching the application, you must have a report ready for what is trending as of now. And if you are really going against the recent trend, then the wow factor along with the smart ideas must be there. Otherwise, your app may face a bad defeat. The main question arise is, how will you put your application in the market? Always focus on what other business rivals are doing with their enterprise application. Be unique and make sure with the developer to load with something new or useful features. The people are always ready to pay for the excellence. See the trend and if you are confident that the app is really worth for use and people will love it, then release the paid version only. Otherwise, the free applications can also convert the clients and boost the sales if they are really engaging and can do the work smartly. As an entrepreneur, follow the iOS app development trends and tactics discussed above to get the best out of your mobile applications. The businesses are always meant to raise the sales and boost the profit. Make sure to have the app which becomes the game changer for your business. Hire a full-time iOS app developer who can easily transform your ideas into reality and aware of the latest tweaks.